I hear you’re planning on upgrading your gaming gears, and now, it’s time for you to decide the most important piece of your hardware: your GPU (graphics processing unit). You know, it wouldn’t serve any purpose owning a 700$ budget PC and installing a 700$ graphics card, nor would it be to install a modest graphics processor on a PC with the latest AMD Ryzen 7 and a 4K screen. Okay, we’re being honest, right? So here’s me telling you the best NVIDIA GTX 1080 ti GPU’s for your gaming PC. 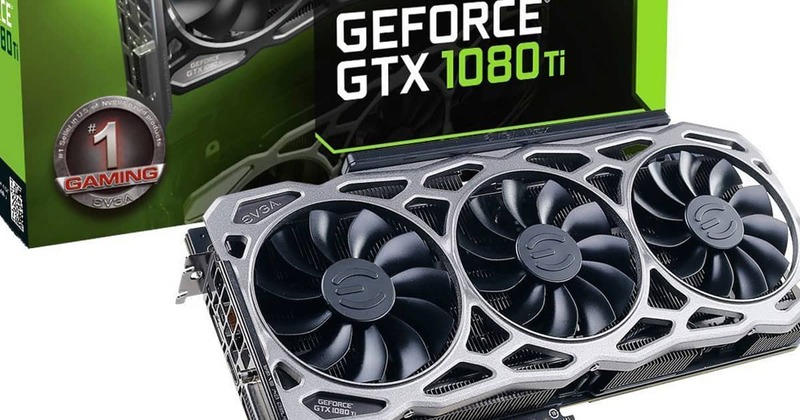 Take into consideration that we’re only talking about the best 1080 ti GPU, an NVIDIA graphics card that launched in 2018 and will still be around and relevant during 2019. Why the NVIDIA 1080 ti? 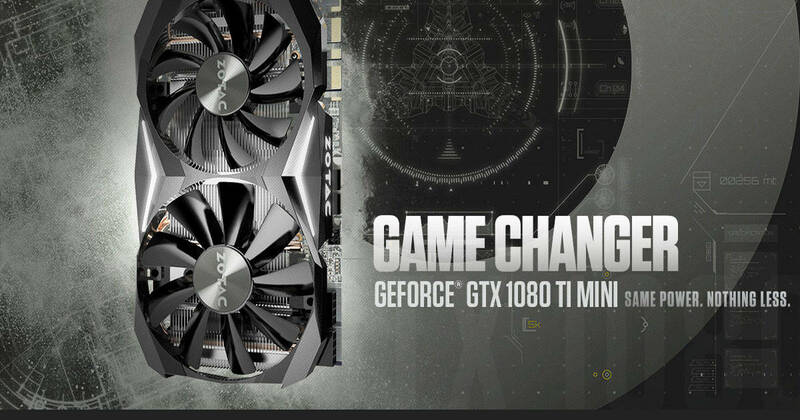 The NVIDIA GeForce 1080 Ti is the current most powerful consumer GPU available on the market, only competing with the brand’s RTX card series. If you’re ready to get one of these bad boys to get into 4K gaming with over 60 fps, you’ll need to pick the best model for you. And why “the best GTX 1080 card”? Isn’t there only one? Nope. See, there are various brands making NVIDIA components including ASUS, EVGA, Gigabyte, and Zotac. Top competing brands for this particular piece are Zotac and EVGA on the first place, and then Gigabyte, ASUS, and MSI. As most specs are the same, we will be focusing heavily on their cooling system, which allows cards to function longer, quieter, and better. 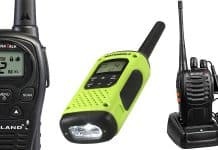 So, in case you were wondering why this list exists, it’s because there are plenty of models of the same product, and it can be confusing for you. Thus, before we chose the best one for you (according to its price and its performance), let’s first discuss what the GPU can do for you. Because it’s best if you read all of this specs and also know what they do instead of simply believing whatever number I write. Wait…there’s indeed a really simple general rule of thumb: the higher the numbers, the better the GPU is (except for the price, that’s not the number you should expect to go up). However, keep in mind that it’s not all about the specs: different brands make them with different technologies that enhance your gaming experience. EVGA GTX 1080 ti graphics cards are specially packed with incredible features. 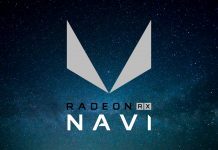 In summary: if you wish to know more about the specs of the graphics cards you’re reading about (and more so if it’s the piece you’re about to choose), continue reading below. If not, just skip the next couple of sections. You should know a GPU is the single most important piece to enjoy a smooth gaming. The more powerful it is, the more you can enjoy those Fortnite dances. The best GTX 1080 card will give you over 100 frames per second (fps) on 4K resolutions. Images on your monitor are pixel and dots. The computer then decides what to do with each dot and pixel (and there are over a million of them) to create an image we can understand. It needs a translator for that, of course, and that translator is the graphics card. On some laptops, graphics cards are built into the motherboard (often Intel-branded built-in graphics cards, like Intel Iris), which is not ideal for gaming. GPU’s are installed on a separate slot. Their job is complex. It receives information about the image from the CPU and decides how to use these pixels and dots. Then, it sends its processed data to the monitor. In summary, a GPU creates images out of binary data and then fills in pixels by reimagining the image and creates color, texture, lights, shadow, and depth. For modern games, a computer goes through this process over 60 times every second. Such a workload is too heavy for the CPU alone to handle. It’s the connection for data and power and the house of the virtual RAM (VRAM) and processor. Graphics cards connect via the motherboard to the computer. Newer cards need more power than the motherboard can give, so they also have a direct connection to the computer’s power supply. These connections may be one of the three: PCI Express (PCIe), which provides the fastest power transfer; advanced graphics port (AGP); or simply peripheral component interconnect (PCI). NVIDIA 1080 ti cards have a DVI connector that supports LCD screens; while HDMI connections support all newer screens, up to 4K. Also, keep in mind the best power supply for a GTX 1080 ti card is 600W. 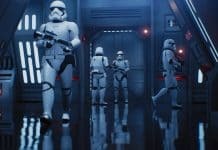 NVIDIA processors have special programming that improves how the GPU analyzes the data like Full scene anti-aliasing (FSAA), a technology that smoothes 3-D edges; and Anisotropic filtering (AF), which makes images crispier. Also, be sure to check the processor’s speed, as well as the boosted speed. 1080 ti’s processors go around 1600 MHz. The higher it goes, the more powerful the graphics processor is. Latest NVIDIA GPU’s also have CUDA Cores (3584 for 1080 ti cores). These are the equivalent of AMD’s “Stream Processors.” CUDA (Compute Unified Device Architecture) are parallel processors written in a programming language that enhances the GPU’s performance. It means more CUDA Cores equal to more computing power for the card. The VRAM stores the data of each pixel (screen location and color). It also holds processed images until the monitor displays them (which is called a frame buffer). The VRAM is connected to a digital-to-analog converter (known as a DAC or RAMDAC), which finally translates the signal for the monitor to use. Cards with multiple DACs have improved performance and can also support two monitors or more. NVIDIA 1080 ti connect to the monitor via either a DVI connection or an HDMI 3 cable. In easier words: how to identify a good graphic card? If you’ve come this far, I think you’re getting the point by now: top-of-the-line GPUs are easy to spot: they have fast processors and lots of memory. 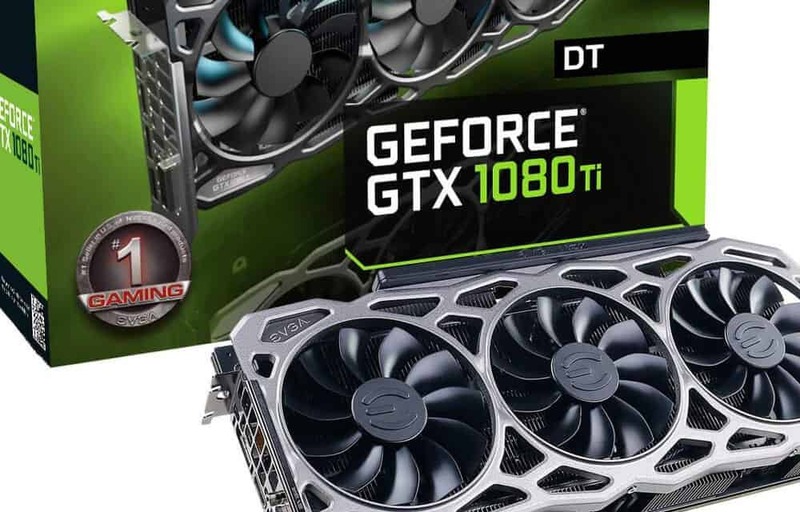 Often times, top-notch graphics cards have an appealing design just because your computer’s case might be open or transparent. With decorative fans, colorful skins, wicked details, or heat sinks, they can turn the insides or your gaming PC into a real light show. If you’re not using your computer for gaming, video editing, rendering, designing, or other 3-D modeling software, you’re good with a motherboard integrated graphics. Even a mid-range GPU is sufficient for casual gamers. I mean, if you’re like me and enjoy classics like Bioshock over PUGB, an NVIDIA GTX 1050 is more than enough. Let’s say you’re a game enthusiast and want to measure how well your card is doing in order to see if you need to change it: well, check the frame rate by seeing the frames per second (FPS) when playing your most graphic-expensive games. If you’re playing on Steam, you can go to the menu, click settings, click “In-Game” and select the “In-Game FPS Counter.” If not, check software like “Fraps” or “Dextory” and take care of that. The human eye is okay with 25 frames per second (well, actually, 24.97). In fact, most movies are at 24.97. However, a fast-paced action game (like shooters) require at least 60 fps to give you that “oh wow, this is so smooth” sensation. Keep in mind your computer’s CPU also plays a role: a heavy GPU cannot compensate for a flat CPU. Also, remember many motherboards (especially laptops) have integrated graphics without a separated graphics card. Here’s a little rundown on what you can find on the market. Depending on the budget, you could find either midrange or high-end models. Midrange models have essentially nothing wrong. They are just less ambitious and features less appealing design. 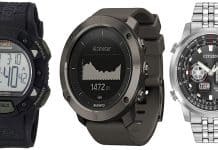 They also have decent cooling and serve as the base models of each brand. High-end pieces (like Asus Republic of Gamer’s cards) come from EVGA, MSI, Zotac, and Gigabyte. These have the latest technology and features both NVIDIA and each of the manufacturing brands have to offer. They ship with massive cooling systems, sick RGB lighting, and fast processors. Keep in mind the price will reflect all of this. And there’s also founder’s editions, which feature blend styles and none of the tech features. These come in handy when you don’t want any heat coming from the GPU circulating into the chassis. EVGA is q trusted NVIDIA partner. They offer many variants of the 1080 Ti, and the one we’re looking for today is the FTW3 GAMING variant. The FTW series of EVGA cards are unique as they have a bigger clock speed than their competitors. What makes them superior is their cooling system, which in turn increases life spawn of the cards and makes them work better and longer. The card is packed with EVGA’s distinct features as it packs 11 tech patents. The most relevant is EVGA iCX Technology, a thermal management program that enhances GPU performance with 9 different sensors. Their design is sober as it’s build focused on function over appearance that enables a better airflow than most, although its metallic body may not appeal to every consumer. This is a midrange model that still packs all of the juice. With superb performance, it delivers smooth gaming, awesome lighting, and quiet cooling with its ICX system. Gigabyte is another big player, one you may be already familiar with. 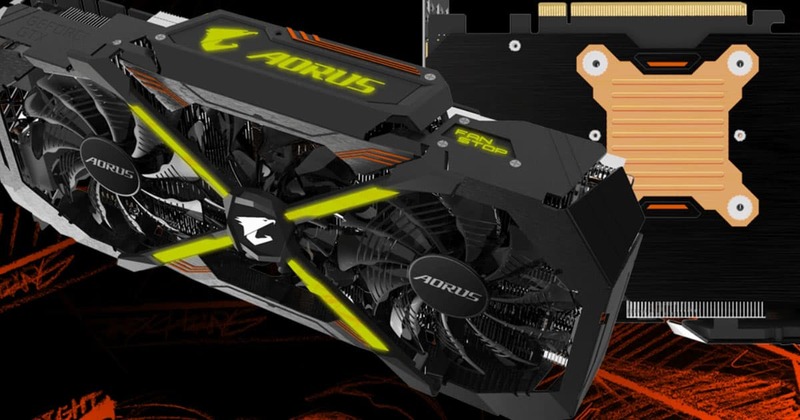 Their AORUS series is not very popular yet, but it’s set to grow during 2019 with their incredible features. The Xtreme Edition piece can leave any gaming enthusiasts satisfied and happy. While it looks like a regular two-fan card, it has three fans: one of them is on top of the middle one, which allows the card to use the three fans while still being shorter than their competitors. Their overall performance is the fastest of the market. Packed with NVIDIA Pascal technology, they can up to 3x times better than their counterparts. It also supports up to 8K display resolution. The GPU’s VR link also sets it apart from its competitors, as it has an extra HDMI port on the front that makes it easier to plug a VR headset to the card. Its appearance is far from unappealing and neutral. It has massive orange strips on the body with an extensive RGB Fusion lighting. On the front, you can see four strips forming an X pattern with the center logo, while a smaller logo and a fan stop signal sit at the top. On the downside, the card is rather big as it takes up three slots on the CPU. The GAMING X Trio, made by MSI (another seasoned NVIDIA manufacturer), also has a triple fan cooling system. These are top-quality Torx 2.0 fans that provide optimal airflow that allows it to function quietly for several years of heavy use. 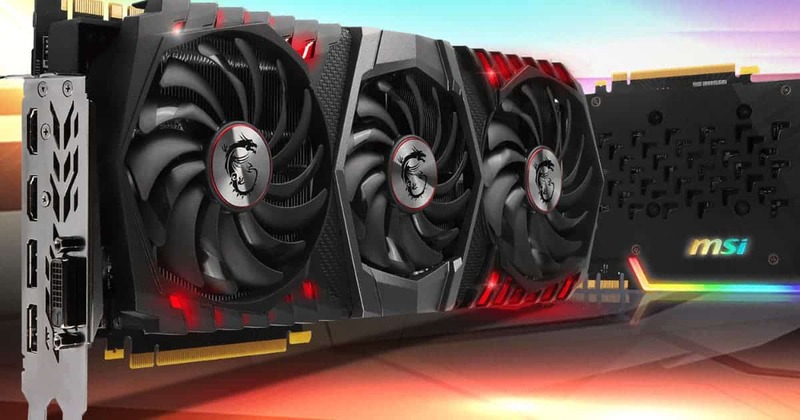 MSI sells it as “the world’s first ray tracing gaming graphics card. Featuring NVIDIA RTX technology powered by Turing GPU architecture, the GAMING X Trio has an AI that traces games in real time. It delivers up to 6x the speed of its competitors. The X Trio features an aggressive red front with a mix of grey and black metals on the top. It looks gorgeous with its RGB effects, which you may control with MSI’s Mystic Light program to make it synchronize with other RGB elements on your computer. Asus needs no introduction from me. The veteran Taiwanese hardware company has been building top-of-the-line computing technology for years (smartphones, peripherals, laptops, processors, and more). The card featuring on this list is a part of their Republic of Gamers Brand. 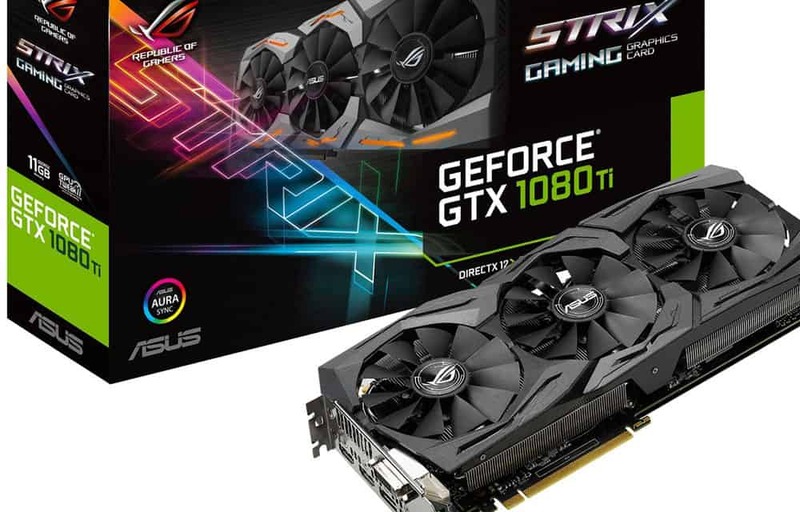 The Asus RoG Strix GTX 1080 Ti follows the philosophy of RoG-branded GPUs and ships with three quality dust-resistant fans and a heatsink that makes the piece have one of the best cooling systems available. 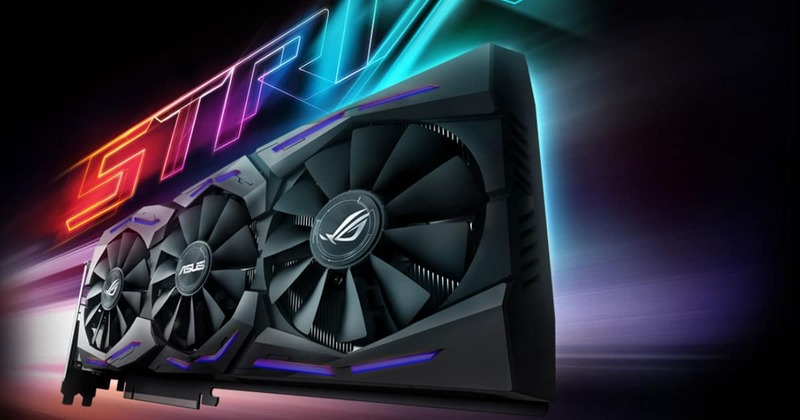 The card is similar to other cards of the RoG series, albeit it has a more detailed black exterior, an extensive RGB lighting, and a metal backplate. It delivers up to 5K display resolution. Zotac, a Hong Kong-based hardware company, is a young player in the field as they were founded in 2006. Still, they are trusted NVIDIA partners and have been able to build a compact variant of the 1080 Ti. The Mini is the smallest 1080 Ti graphic card and fits in 99% of computer cases (according to Zotac). Also, it does not make sacrifices as it still has two cooling fans that keep the temperature at acceptable levels. Additionally, it has a 7-phase dual power supply cooled with a radial fan and a steam chamber. On the downside, the cooling is noisier than the other cards on this list. It supports up to 4K display resolutions. 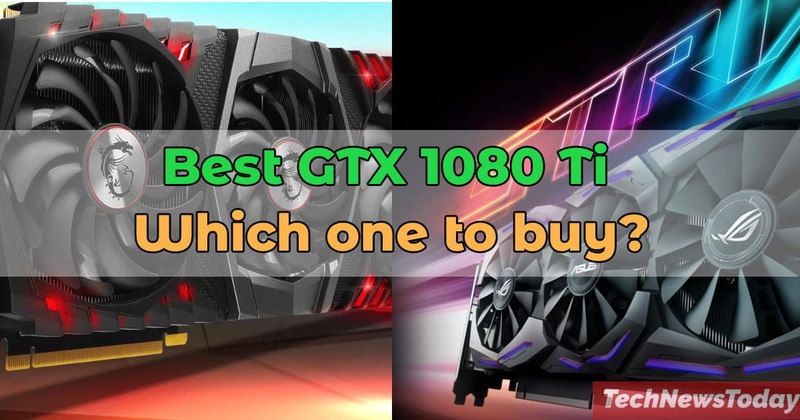 How to choose the best GTX 1080 Ti card? As you have noticed, the cooling system is a really important feature of GPUs, and they may come as either air-venting or with water cooling solution. Overclocking: cards with three fans have better cooling and better heat dissipation and, likely, have higher overclocking speeds. However, keep in mind abusing this feature is detrimental for both your CPU and your GPU. Size: As you have noticed, the cooling system is a really important feature of GPUs, and they may come as either air-venting or liquid-cooling. Consider both card width and length. Length is relevant when it’s about fitting the GPU inside your computer’s case. Often times, it hardly fits on a Midi Tower case, with the rare exception of those that have extra space because they have reduced the size of the HDD rack. Width is about whether or not the card fits on the motherboard. Because of the massive heatsinks of these cards, these pieces may take two or three slots. This is an important factor to keep in mind if you have installed other cards if a PCle extension. Now you have to see if your computer is compatible with the GTX you’re about to buy. Checking this requires you to see the CPU, the motherboard, and the power supply. Compatibility with the motherboard: this is simple: you need to ensure your motherboard has a PCI 3.0 slot available. Every motherboard has at least one. Compatibility with the CPU: check if the CPU is powerful enough to carry the GPU. If it’s not, it will actually make it weaker as it will not be able to get the maximum capacity of the card. They need at least a 7th-gen Intel Core i5 processor. Getting the 100 percent of the card requires either an AMD Ryzen 7 or an 8th-gen Intel Core i7. Power supply: see the power consumption and the recommended power supply for each card. Most of these cards will work on a computer with 600W PSU. Keep in mind every GTX 1080 Ti is basically the same unit. What changes the most from brand to brands is the cooling system, the design, and some in-doors technology that enhances gaming performance. However, every version comes with the same NVIDIA formulas, and changes are about clock speeds, cooling quality, and visual appearance. That said, it’s entirely up to you to choose the brand and the specs you like the most. Each 1080 Ti ships with several connections: Dual-Link DVI-D port, HDMI port, Display Port, or USB Type C ports. Which connection is best for you? DVI is an already outdated technology that requires a big and uncomfortable cable. Additionally, it doesn’t support 4K/UHD display resolutions. It means if you’re using DVI, you probably don’t need such a powerful GPU. For 1080p resolutions, you’d do just fine with an NVIDIA GTX 1050. HDMI and DisplayPort are the popular choices, the former preferred for TVs and the latter for monitors. Still, almost all screen and monitors have the two kinds of connections. DisplayPort supports higher refresh rates at any resolution, but due to the human eye and current technology, that hardly makes a difference. So, when it comes to deciding between connections, it’s about the configuration you desire. If you’re planning on a monstrous triple-monitor setup, ten 3x DisplayPorts are the obvious choice. Or maybe you’re planning to connect the monitor and a VR headset at the same time. If this is the case, then a 2x HDMI is the best choice. I hope all of this information can help you make an informed choice, not only on the GTX 1080 Ti (the current top GPU in the market) but on all GPUs you might choose in the future. This particular piece is great for 4K gaming and VR experiences. If you checked the fps benchmark I have listed above, you will see it doesn’t go above 100fps in ultra-high graphics for modern games. Remember to pair your high-end GPU with a high-end PC with at least 16 GB Ram and Intel Core i5 (or AMD Ryzen 5) processor. If you’re looking to push gaming resolutions up to 8K (why would you do that to your eyes? ), remember technology still hasn’t reached that high. However, if you’re only pushing 1080p resolutions (Full HD), you’ll enjoy above 124fps on ultra-high settings in every game. Needless to say, there’s no way to pinpoint the perfect 1080 Ti card, but if I’d had to pick one, I’d go for the EVGA GAMING variant. 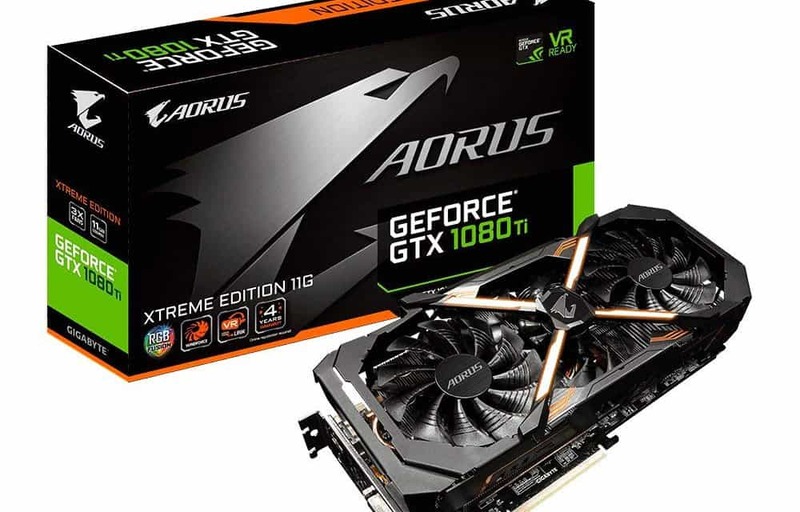 If you’re on a budget, you can save more than 300$ and get a very similar performance with the superb Asus RoG Strix GeForce GTX 1080 Ti. This unit has the best open-air cooling system on the list and the best RGB lighting to showcase inside of your computer. Also, this card will fit with almost any configuration. However, every card I have mentioned in this article is a top-solution for your gaming desires. Believe me, none of this graphics card will leave you unsatisfied, just as long as you keep in mind your own requirements when deciding which model to get.